• Why is there public concern about dental radiographs? 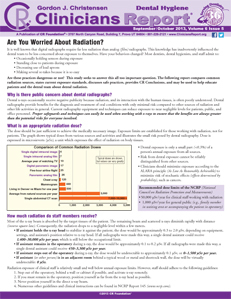 • What is an appropriate radiation dose? • How much radiation do staff members receive?